Augmented reality has a powerful ally, and apparently ardent supporter, in Apple CEO Tim Cook. 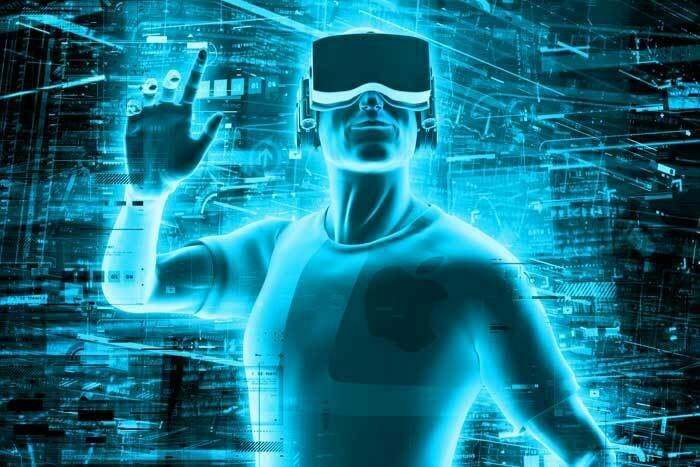 The leader of the most valuable publicly traded company in the world reiterated his optimistic outlook for the future of augmented reality (AR) and highlighted the technology’s capability to layer improvements in the physical world. Cook, who is secretive about Apple’s future plans, has hyped up AR multiple times during the last year and there are other hints, such as job postings, that indicate Apple is investing in AR and at least developing product prototypes. Whether Apple eventually releases an AR product or not is another matter, but it certainly seems to be in the cards based on Cook’s latest comments. Brian Blau, research vice president at Gartner, says he also believes AR will be a “very powerful technology, but it will take years before we see significant uptake.” While AR and virtual reality (VR) share many similarities, a form factor that mixes the real world with virtual layers is a “more compelling, interactive scenario than you find with VR, which covers your whole face,” he says. “AR has the potential to be different than other technologies as it provides a core user experience that bring the person and their environment closer together than any other type of technology,” Blau says. Apple’s iPhone business will be a tremendous asset for the company to tap into as it pushes further into AR, according to Christian Renaud, research director at 451 Research. Apple’s large developer community is also familiar with, and generally excited to develop applications rapidly for new Apple hardware, Renaud says. Predicting Apple’s next move in AR is almost futile, but Cook’s comments paired with technological advancements and increased investment, at least suggest something related to AR could be on the horizon. “I think it would make sense for the iPhone's tenth anniversary,” Husson says.